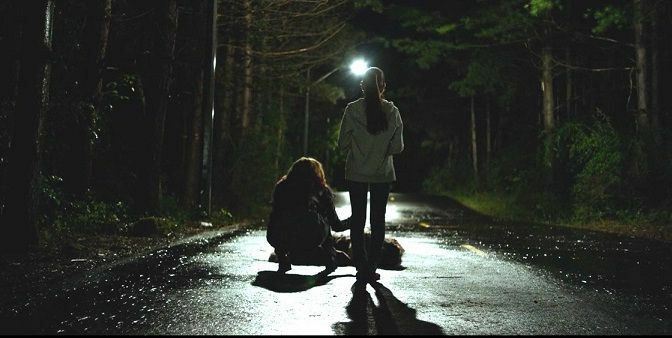 Plot: A mother and daughter must confront a terrifying monster when they break down on a deserted road. The year of A24's greatest successes yet was coming to an end. Following the film that would put them in the Academy Awards camp with Moonlight, the studio returned to their old tricks with a documentary on one of music's most popular bands (Oasis: Supersonic) and even a good old fashioned monster movie. Director Brian Bertino's The Monster may be simpler than the studio's other big horror film of the year (The Witch), but it was a film that mixed practical effects with an emotionally resonant story of a mother and daughter learning to bond over past mistakes. The film was part of the DirecTV branch, and in the process created one of the most enjoyable films that the studio had released through them. It may have not been a runaway success, but it gained plenty of traction in the process. In 2008, Bertino released the film The Strangers, which was considered to be one of the best horror films of the young 21st century. With many praising its ability to do so without much graphic violence, Bertino had a bright career ahead of him. He wanted to explore the fears of mankind, and it's present throughout his work, such as the horror film Mockingbird. While he was set on making more films in the genre, he wasn't set on what his "fears" would represent visually. As a result he chose to work on the film, tentatively titled There Are Monsters, focusing on monsters who attack a mother and daughter as they try to get home. Considering that he had a love for old monster movies, he found an easy time managing to make a film that had plenty of compelling subtext while using minimal sets to their full potential. Actress Elisabeth Moss was originally brought on board in 2014, but backed out and replaced by Zoe Kazan. Kazan claimed that the role was very interesting to her and presented a female character with depth. She also bonded with her co-star, Ella Ballentine, who she believed brought a certain maturity to the performance. When the film began shooting in 2015, they shot in Ottawa, Canada including on a stretch of backwoods that they built with lights for the production. Among the crew members involved were legendary special effects designers Alec Gillis and Tom Woodruff Jr., who endorsed the use of practical effects. The titular monster was predominantly practical effects and were created from the screenplay that Bertino provided, though there was little that gave clues the specific look of the creature. In May 2015, A24 bought the distribution rights to the film. In August of that year, There Are Monsters' name was changed to the more direct The Monster. In a crowded year for the studio, it eventually received an October 2016 release via DirecTV's video on demand service, followed by a brief theatrical release. where it earned a little more than $62,000. Comparatively, it was a modest film with not a lot of traction. With that said, websites like Indiewire wrote articles claiming that it deserved some awards praise, specifically for Kazan. The film's poster recalled another mother-child film featuring metaphorical monsters called The Babadook, though with color patterns reversed. However, that film was overall a more critical and financial success during its release. Considering its placement in the DirecTV branch, The Monster earned one of its highest ratings yet. On critics aggregate website Rotten Tomatoes, it earned an 80% with many praising its intense horror and practical use of dread. April Wolfe of the L.A. Weekly would lead the pack of positive reviews, claiming that "The faint mist, the eerie silence, the saturated blacks - so much of this film is reminiscent of the classic monster movies of the '30s and '40s." Manohla Dargis of The New York Times was a little more critical, writing that "Mr. Bertino, who also wrote the undercooked script, sets the scene effectively, using his leads to give the story a sense of normalcy that he dismantles trick by genre trick." Rob Hunter of Film School Rejects was even more annoyed by the screenplay and suggested "It fails to generate anything resembling scares or suspense here, and the fault rests almost entirely with the script." More than anything, it was a triumph for A24 to release another effective horror movie, especially after The Witch's much hyped debut earlier that year. The penultimate A24 film for 2016 may have not been a runaway hit, but it proved that even the second string films from the studio were bound to be hits of some kind. With practical effects, it told a simple story very well, capturing the struggle of family bonding in between scenes of horrifying monsters. For those wanting to see more from Bertino, don't fret. He will be back in three columns as a producer on The Blackcoat's Daughter. For now, it's time to end the year off on a very high note with another Oscar-nominated film, featuring an incredible cast and a look back at the freewheeling late 70's featuring women raising men, and hilarity ensues. In terms of ways to end the year, remembering the 20th Century Women in everyone's life was quite a sweet way to do it.